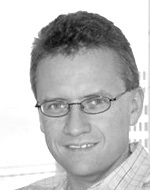 Nicholas Hodson is a partner with Strategy& based in San Francisco. He leads the firm’s retail practice in North America and specializes in strategic transformation, performance improvement, and digital strategies for retailers. What if Clay Christensen Is Right about the Grocery Business (and Amazon Is Wrong)? The disruptive influences of e-commerce may finally be setting their sites on the grocery industry. This year’s holiday retail outlook suggests that shopping patterns created during the recession are becoming permanent, but there are still reasons for retailers to celebrate. Every company can compare its brand value to that of its competitors based on a readily available scale: Facebook “likes,” adjusted for company revenue.